Quintessential Southern charm! 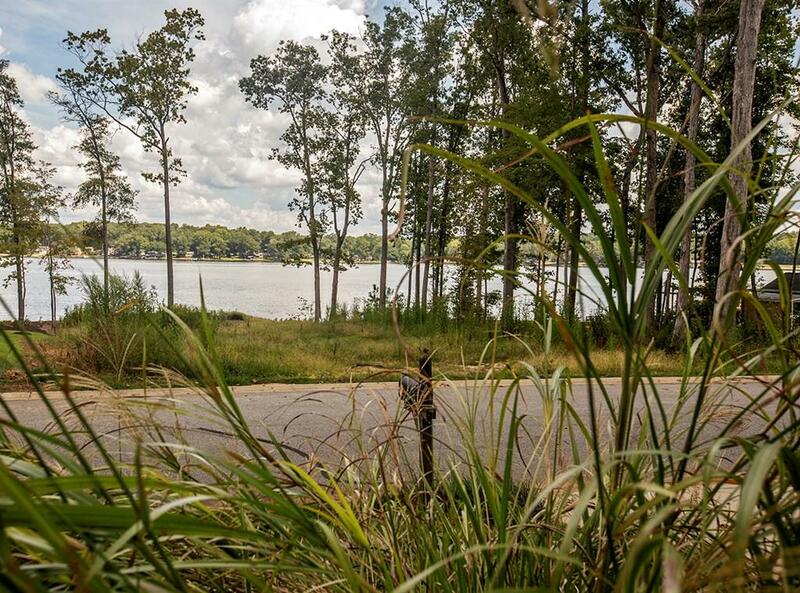 This community is a nature lovers dream. Drive through the entrance and your eyes are immediately drawn to the large private kayak pond as you follow the tree lined winding roads to this elegant lake view home. 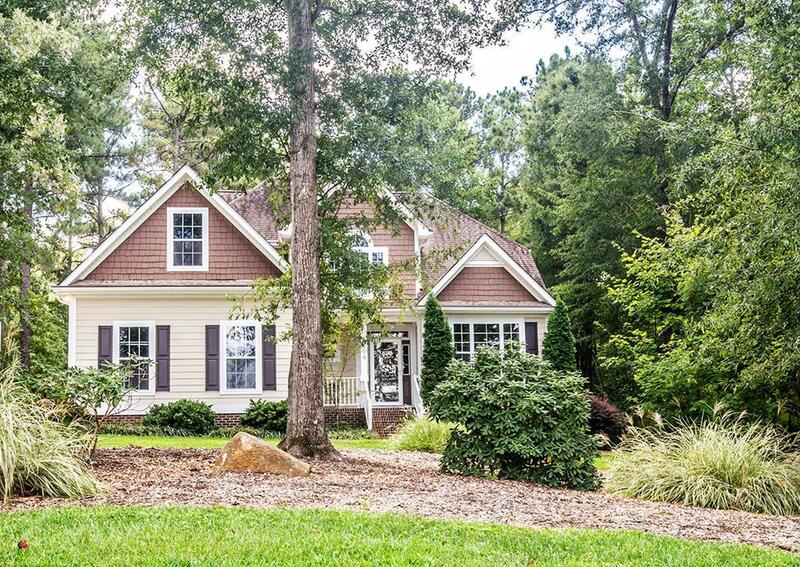 You will appreciate the privacy that being surrounded by woods on the sides and back provides. You can enjoy your morning coffee on the back deck while listening to the birds sing, the squirrels run, or the occasional deer running by. Place a rocker on your front porch and enjoy the lake views or watch the early morning fisherman just across the street. 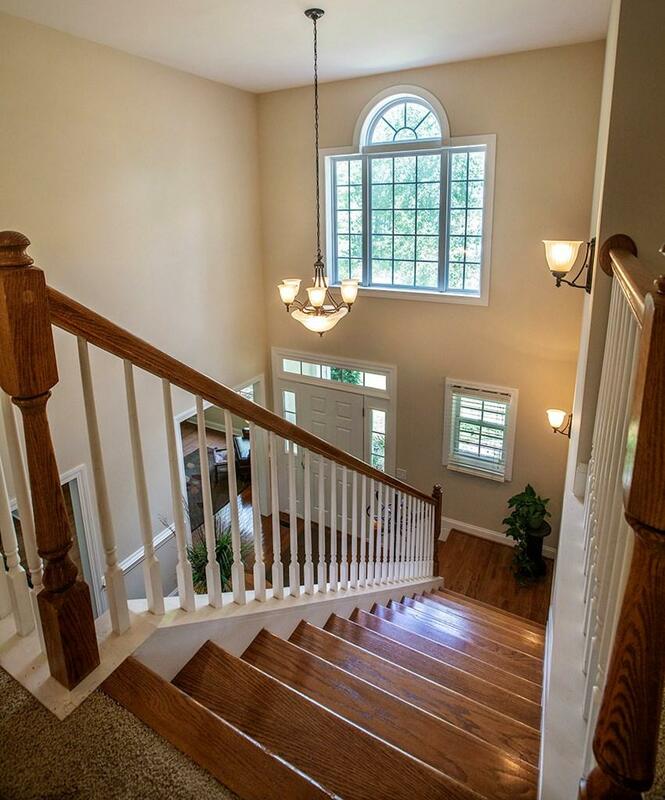 Step inside and be delighted by the eye-catching two story foyer, with a cat walk above, that leads into 20 ft plus ceilings in the living room. The wall of windows along the backside allows plenty of natural light throughout the entire home. The spacious eat in kitchen offers beautiful cabinetry and solid surface counters. The formal dining area showcases a lovely trey ceiling and is the ideal size for sit down meals with family and friends. The master suite stuns with large windows, custom ceiling, lavish master bath and walk in closet. 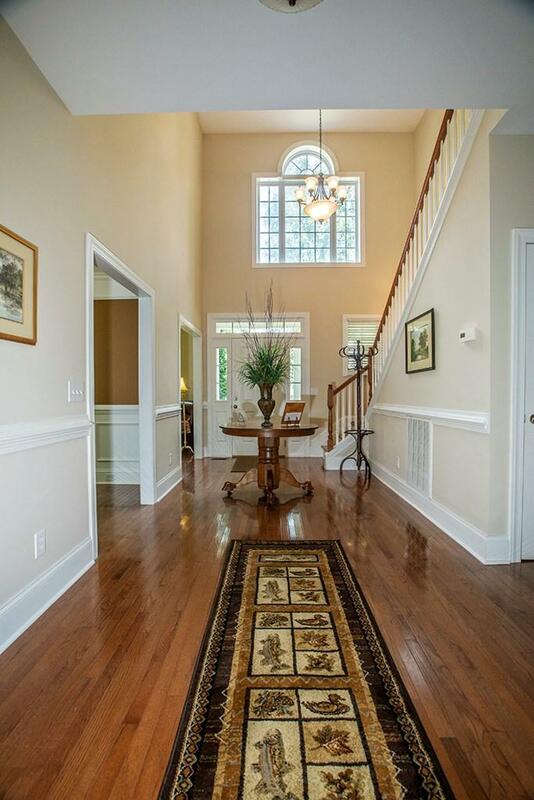 Even the most discerning buyer will love the architectural details throughout. The shimmering hardwood floors, wainscoting on the walls, and ceramic tile in the baths just complete the look. Across the street from the lake and a just short walk to the lakeside boardwalk, this home is perfectly situated inside this distinctive coastal inspired community. Natural landmarks have become focal points for small enclaves and community gathering places. The architecture is fresh, and the crisp and the gray, white and green color palette is accented by natural wood. Newport residents can also enjoy the club amenities of Stoney Point Golf Community with affordable dues. Available amenities include a Clubhouse, Bermudas-a full service restaurant, Pro Shop, Fitness Center, Spa on the Green, Tennis, Covered heated year round pool Pool, 18 Hole Golf Course, Driving Range, Marina, Dry Boat Storage, and a Boat Launch with lake access.